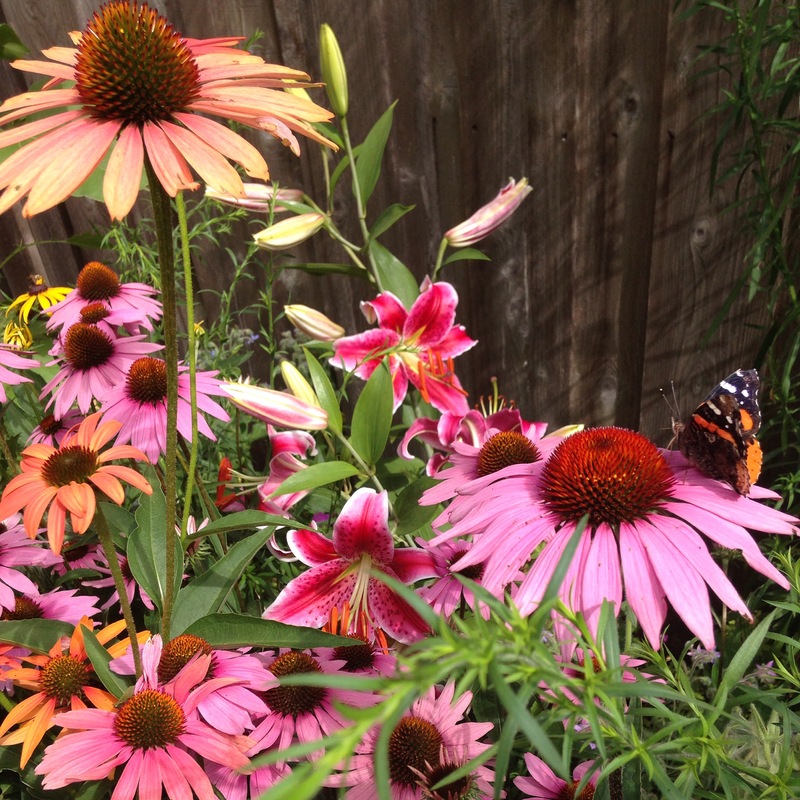 Currently the garden is exploding with flowers! 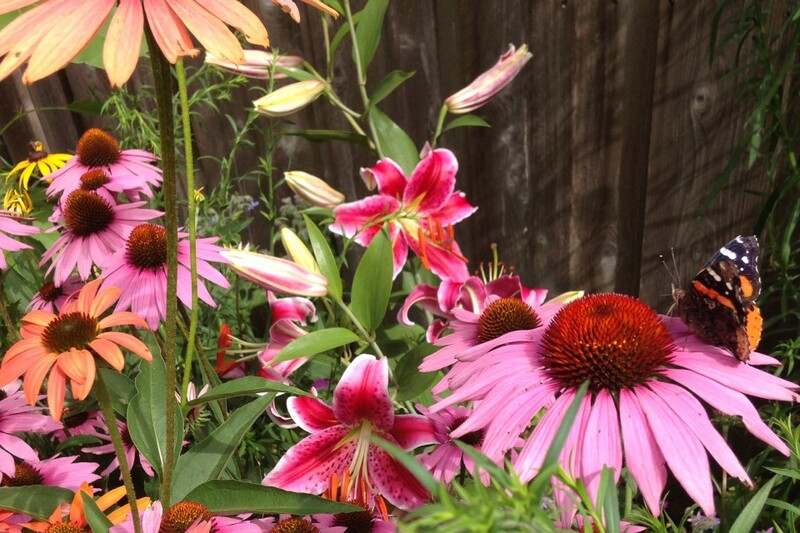 The Chicago Reader wrote and recorded a small video on our garden. Check it out! 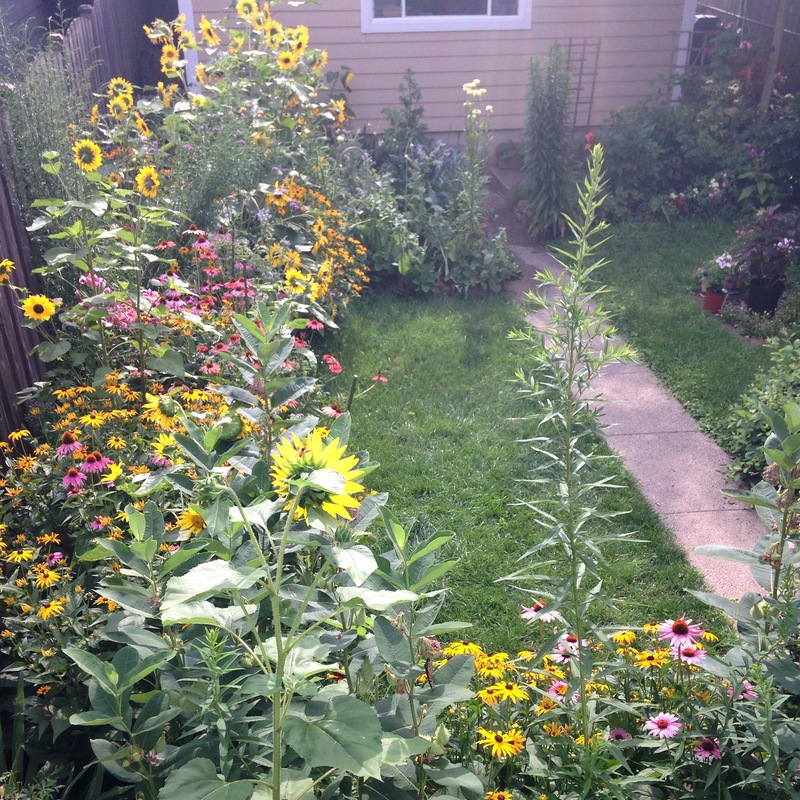 Current “State of the Garden” photos. 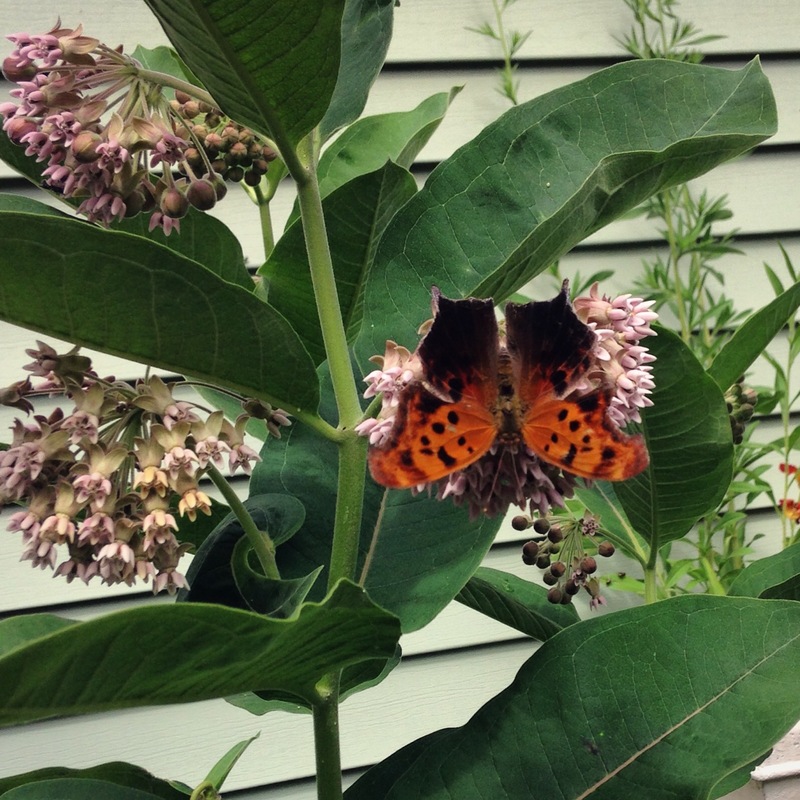 Question mark butterfly, upside down on milkweed. sunny side of the garden. 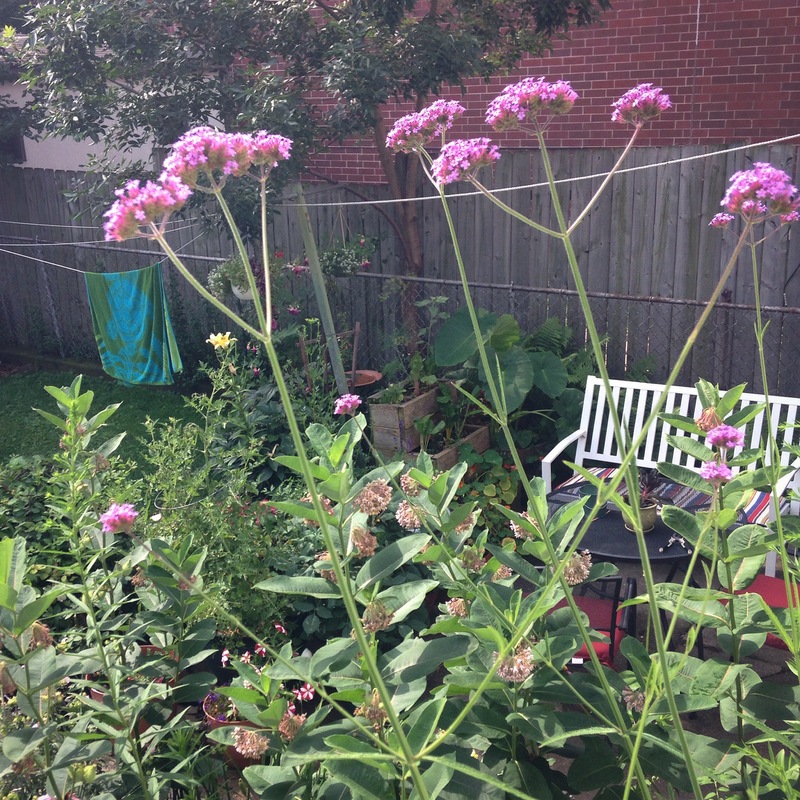 Brazilian verbena and a look to the shady side.